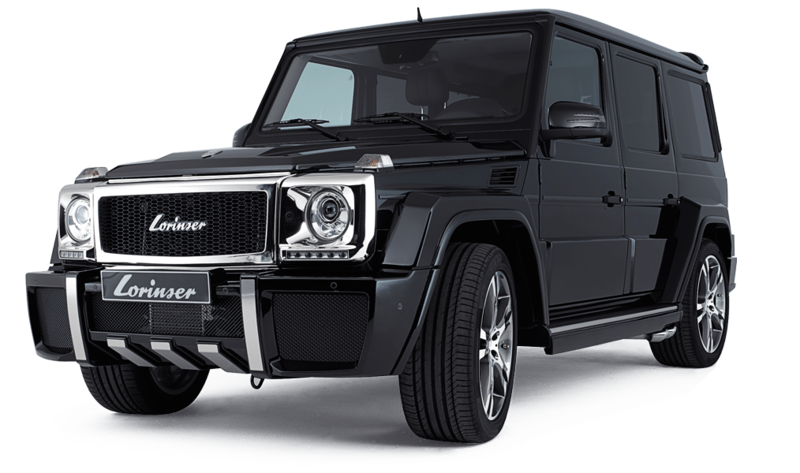 “Lorinser” is an aftermarket company that makes parts for Mercedes Benz vehicles but unlike AMG, they are not affiliated with, or owned by Mercedes. Lorinser – the history of a world-wide success story Zero hour. On March 1, 1930, master auto mechanic Erwin Lorinser founded an independent motor vehicle garage. Word spread fast about its excellent reputation. Lorinser’s dedication and willingness to take risks soon caught the attention of the former Daimler-Benz AG.He was accepted as an authorised “reseller for private and commercial vehicles” and entrusted with shop repairs and servicing. In 1974, Erwin Lorinser passed his constantly growing company on to his son Manfred and made him general manager. A new branch in Winnenden was opened in 1976 and established a new service in addition to the selling of private and commercial vehicles – Lorinser Sports Service, today’s tuning company that is known and operating world-wide. Thanks to its exceptional reputation, Lorinser Sports Service was able to attract a great number of celebrity customers from the areas of sports and show business including Bernie Ecclestone, Niki Lauda, Alain Prost, Paul Tracy, Shaquille O’Neal, Denzel Washington, Sharon Stone, and Arnold Schwarzenegger – to name only a few. As a member of the third Lorinser generation, Marcus Lorinser has been in charge of running the company and continuing its success since 2006. With its various dealerships in 42 countries around the world, the Lorinser Group ranks among the most well-known brands in the automobile tuning industry. Its key sales markets are Europe, the USA, Japan, and China. That said, an increasing number of Lorinser enthusiasts can be found in Russia and the Ukraine as well as in the United Arab Emirates, Dubai, Kuwait, and Saudi Arabia. Design and Quality. Custom-made for your Car.